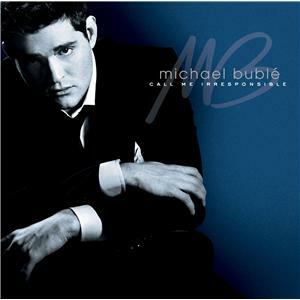 Call Me Irresponsible is the third studio album released by Grammy Award-winning Canadian jazz singer Michael Bublé. The album was released on May 1, 2007. The album's first single, "Everything", peaked at #46 on the U.S. Hot 100, Bublé's highest peaking song so far. It has also debuted at number 3 on the Canadian BDS Airplay Charts and now holds the record for the highest debut ever on that chart. It also peaked at number 19 on the Australian ARIA Singles chart. Bublé appeared on an American Idol season 6 results show to sing "Call Me Irresponsible" when scheduled singer Tony Bennett, with whom he had collaborated before on the album Duets: An American Classic was unable to attend. On Monday, April 23, 2007, members of Bublé's official fanclub Bungalow B were given an exclusive listening party of the album's tracks and a look at a video clip at "Lost", Bublé's second original song. On this day, his official site was also given a makeover to match his coming album and his official YouTube channel released the video for the lead single. The channel also has behind-the-scenes videos and short snippets of videos used to make various commercials and preview clips. The entire album leaked shortly before its release. This album won the Grammy Award for Best Traditional Pop Vocal Album in 2008. 1. "The Best Is Yet to Come"
2. "It Had Better Be Tonight (Meglio Stasera)"
10. "I've Got the World on a String"
11. "Always on My Mind"
Yup that's one of my top ones too. I think Boyz II Men did a fantastic job in Comin' Home Baby!